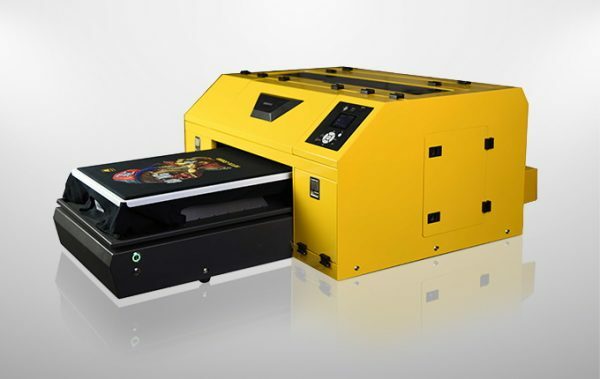 One of our best sell DTG models is HFTX F6000 A2 Size Desktop DTG Printer. It is designed for sampling and proofing, or customization of T-shirt. Nozzle number of Epson TFP head is double than that of Epson DX5, so Printing speed of F6000 is double than those DTG printer with Epson DX5 head. DX5 Capping Station: with one capping for all eight color. That is to say all color flushing when you do the head cleaning even only one color nozzle line missing. That is really ink waste to some extent. Capping Station of Our DTG F6000 is different. Two colors for one capping station. That is to say you can choose one color to do head cleaning, no other inks waste. 3. Better White ink base and quality print. 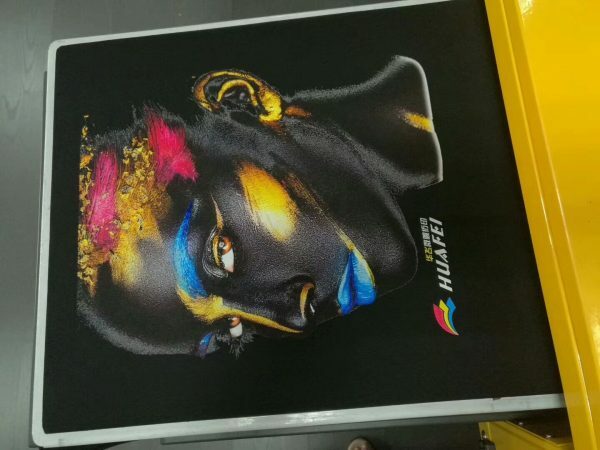 There is 10 ink channels in our DTG F6000 and 6 of them are white ink, then you can get better white base and better prints. You need twice white ink printing if DTG printer is with 2 white ink channels. One time white ink printing is ok if DTG printer is with 4 white ink channels, but it is not good enough for all images. But you can get quality printing of all images with our DTG F6000. 4. Save cost of Spare Parts. No any cost of Maintenance cartridges during the lifetime of DTG printer. Two Maintenance cartridges and chip resetter are included in our price. We will teach you how to do, then new Maintenance cartridges need not to buy during your DTG lifetime. 5. Advanced white ink recirculating system. The completely white ink recirculated is from ink cartridge to the top of Damper and head and 5 minutes per half hour automatically, so less white ink maintenance.